Absolutely enjoyable time with lovely, efficient staff and good choice of optional tours. Enjoying the French countryside with slow food, slow waters, and at a pace you can get used to! Have some of the best French Cuisine without leaving the water, learn about life on the water, the history of the water ways, indulge in cheese and create lasting memories in this intimate cruise. I honestly have never laughed this much on a tour before! The opportunity to bond with your fellow travelers in unique to this travel style. I'm even exchanging Christmas Cards with them this year and for years to come! Everything was fantastic and everyone did a wonderful job. Very pleased with all aspects of the experience. It was an incredible experience that completely blew me away! 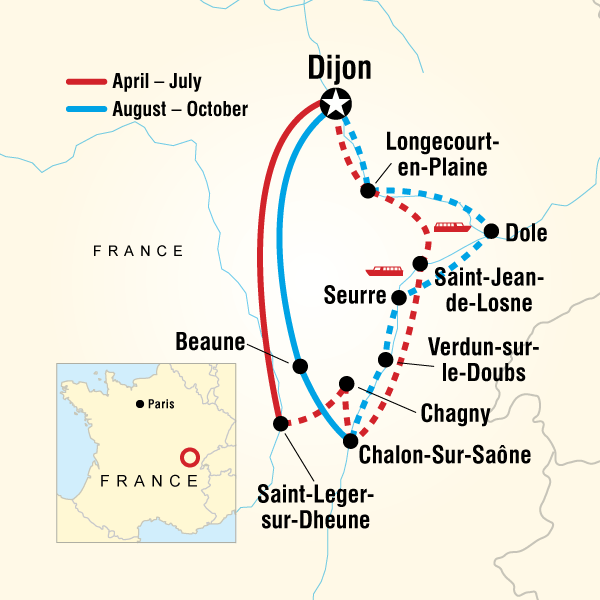 I would recommend this tour and G Adventures to anyone looking to travel. A small group allowed everyone to get to know each other, and for everyone to enjoy the tour. 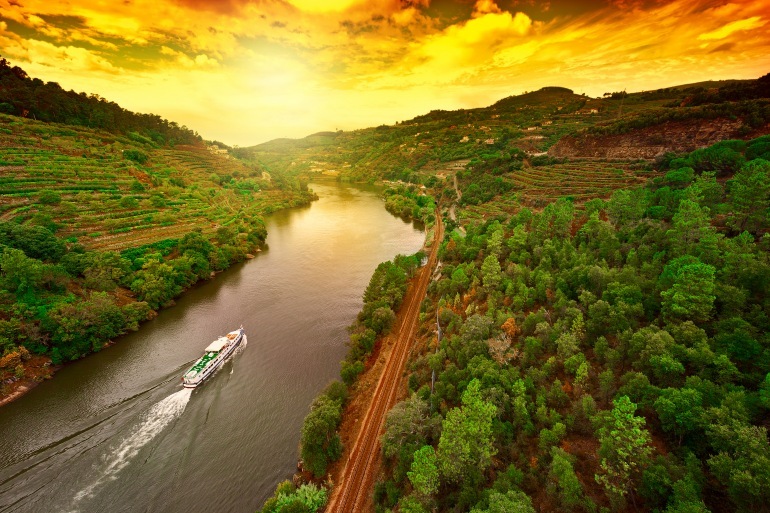 Biking through vineyards, wine and cheese tastings, and amazing scenery as we cruised down the rivers made this tour an incredible experience. And the staff on board, and Charlotte, were incredible- they made everyone feel at home and went above and beyond in everything. Only ground transport Private vehicles, Danièle canal barge, bicycle, walking. Passengers will be required to walk during land excursions, and cycle for the duration of cycling excursions. Please see the full itinerary for information on distance and durations per excursion. The cycling routes on this tour are moderately challenging, with a few inclined paths (approx 40k, 25mi per route). E-bikes are available to rent to be used for both excursions. Please note that the number of e-bikes is limited, and to secure an e-bike for your tour we recommend pre-booking in advance. 12 spacious cabins. Amenities: each cabin has a window and is equipped with private en-suite facilities (shower and WC), TV, radio, telephone (for internal calls only), safe and independent air-conditioning. Number of cabins: 12 Maximum passenger capacity: 22 Number of crew members: 5 Amenities on board: spacious lounge with bar - restaurant - sun deck with loungers and parasols - barbecue deck - Jacuzzi at the prow of the barge - bicycles on board available for use by passengers - wifi on board.